A rescue dog named “Bowie," with unusual eyes that match his rock star namesake, needs a forever home—and the late singer’s son is trying to help him find one. This week, Duncan Jones, an English film director and child of David Bowie and model Angie Bowie, took the canine’s cause to social media, asking Twitter users to adopt him, Mashable reports. Aside from his make-up, sequined suits, and blonde bouffant, David Bowie’s most striking characteristic was his different colored irises. One of them had a permanently dilated pupil, thanks to a fight he got into as a teenager, which made the blue iris appear brown. Canine Bowie—a three-year old lurcher, which is a cross between a sighthound and a terrier, herding breed, or large scenthound—also has one blue eye and one brown eye. 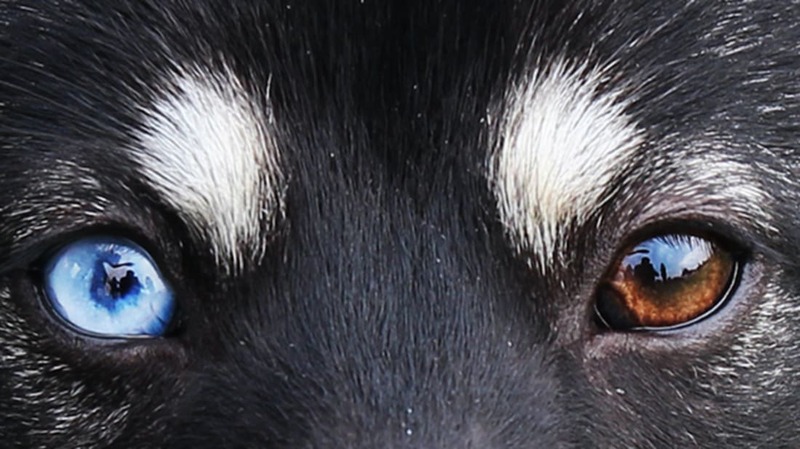 The pup's eyes are likely the result of a condition called heterochromia, which David Bowie didn’t have. Bowie is currently under the care of Dogs Trust Bridgend, a canine rescue organization in Wales. Shelter workers told WalesOnline that hundreds of potential owners have passed up the needy dog because of his unique eyes. They also pushed for readers to adopt him. Some hold the superstition that odd-colored eyes are unlucky, and as an especially unlucky day—Friday, January 13—approaches, shelter workers hope that won't deter potential adopters. "Not only will you be offering a four-legged friend a happy home, but you will be gaining a new best friend,” Wetherall added. “We don’t see what’s so unlucky about that." Bowie is reportedly social and energetic, so he needs an owner with a personality to match. People who are interested in helping the canine find a new home are instructed to contact Dogs Trust Bridgend.